Gilbane built new police station to expand operations in growing Rock Island community. 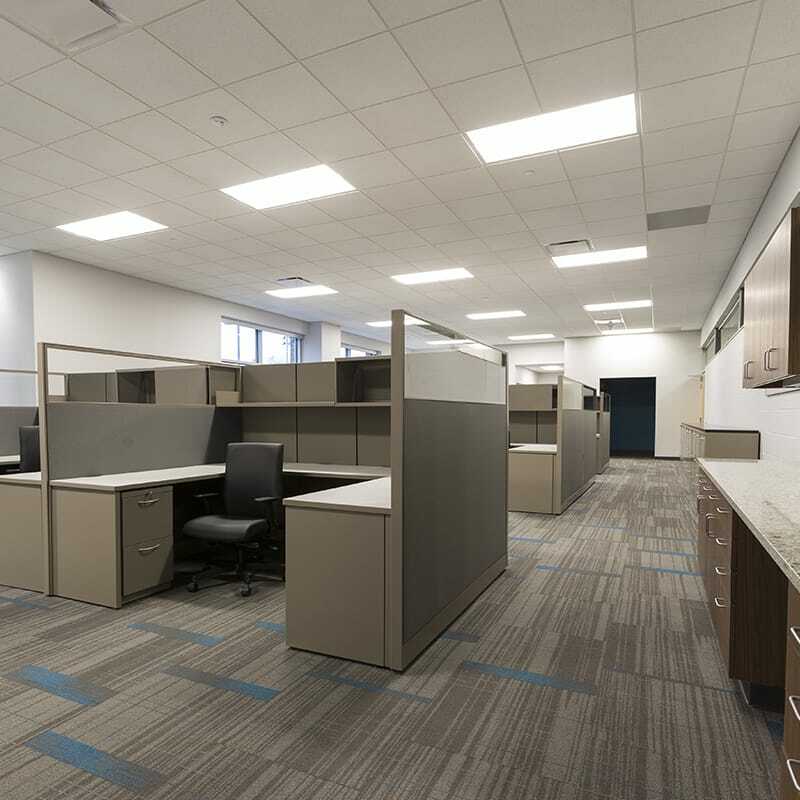 Gilbane provided construction management services for a new police station (headquarters), new 911 emergency call center, and a garage and support building totaling 62,500 SF. 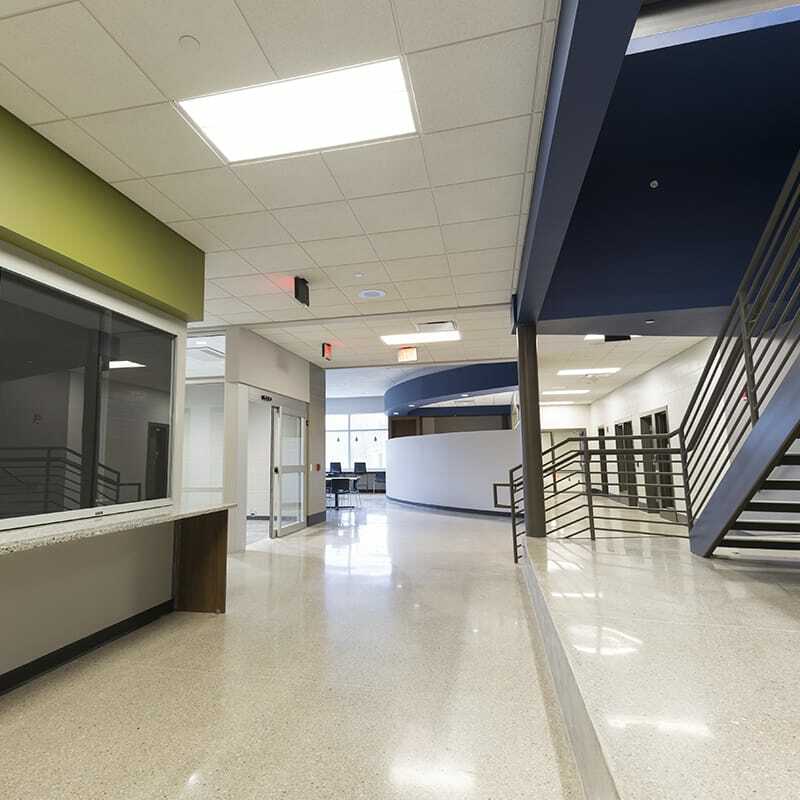 Scope of work included a new two-story, 45,000 SF police station with a community room allowing the department to engage with the Rock Island Community. The project also included a 9,972SF indoor parking garage, which accommodates 21 police vehicles. 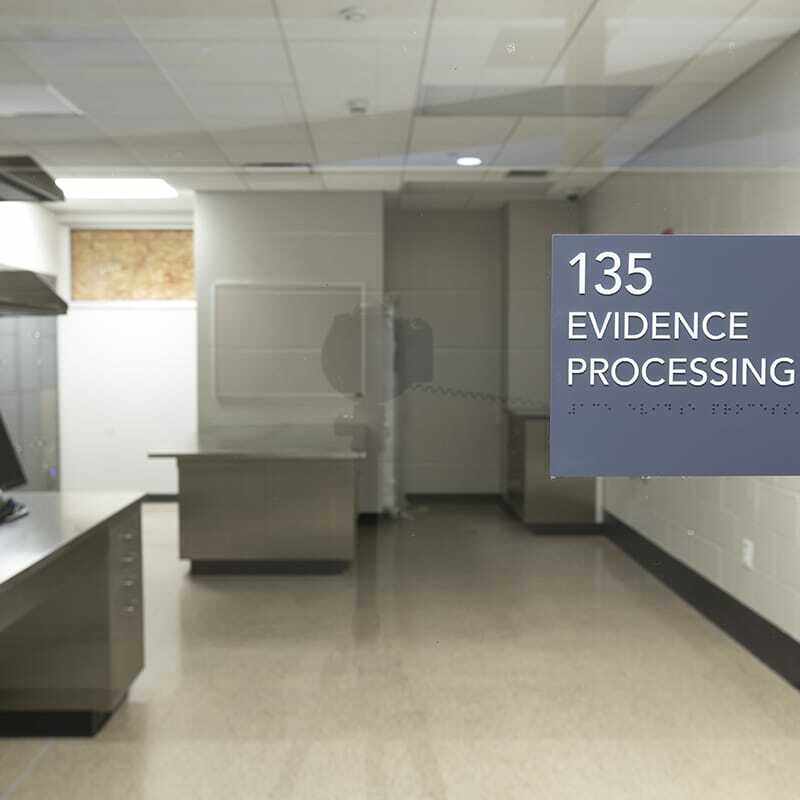 Modifications to an existing 12,000SF building on site was made to create a crime lab and evidence storage area, as well as, space for the emergency response team. The facility is located at 6th Avenue and 13th Street. The new Rock Island Police Station doubled the size of the old facility. 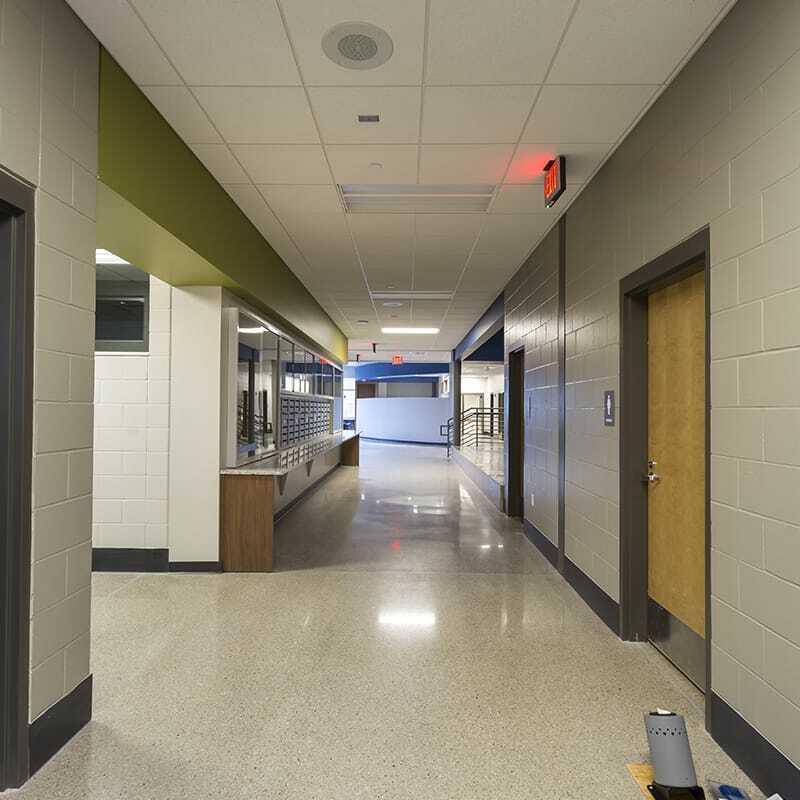 The City Council decided on the new facility when they realized that renovating and expanding the old facility, which was built in 1940, would not be possible. The city searched 11 sites for a new police station, mostly in the downtown area, before selecting the 4 1/2-acre site. The city of Rock Island holds a community garden program in which they let residents utilize vacant lots to build gardens for the community to enjoy. Many of the neighbors are avid gardeners, so the team thought this was a great chance to engage with the community. The Gilbane team got involved by working with neighbors after work to build garden boxes and put up fencing around the gardens. It was a great opportunity to help the city of Rock Island and community members with something that they are passionate about. These gardens are still being planted and utilized by the neighborhood. A web camera was also installed at the construction site, allowing residents to witness the construction as it progressed.